This week’s 3D printing stories include some examples of the cool things you can make if you have access to a 3D printer, like a Transformer birthday cake and a 3D printed hairbrush that is really easy to clean. 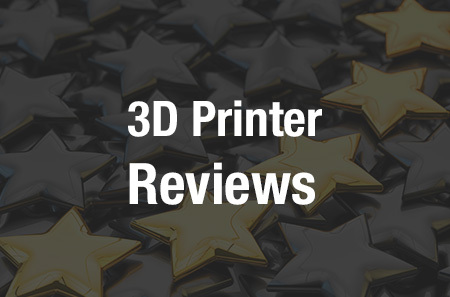 The stories also include news about 3D printing’s expansions in Eastern Europe (Hungary) and the Asia-Pacific. Shapecloud, an online 3D printing service, has been launched in the Philippines. Also, Tokyo’s online printing platform, Rinkak, has received another multi-million dollar boost, this time from Global Brain, and Rinkak has new plans too. And speaking of expansion, there’s speculation that Apple may be planning to (finally!) unveil a 3D printing/augmented reality product. Like with all news, I like to start with the light stuff first. But, this project with 3D printed parts used to make an “Optimus Prime Transformer” cake seems like it took a bit of time to figure out. Russell Munro and his wife devised a way to make a Transformer birthday cake for their son, a big Transformers fan. An Ultimaker 2 3D printer from 3D Hubs was used to print three separate supports for the cake, and the cake even features an Optimus Prime voiceover. You can get an idea of everything that went into making it from the YouTube video–and Munro has shared details of the creation on his blog. Munro is planning to keep working, too, though he has no “plans or instructions to sell” any time soon, due to the “fiddly design.” Still, he says, “as this machine is proving so popular I am begin to design a version that it uses 3D printable gears/cogs (not wires and bearing) which ‘should’ be much simpler. I will update my blog when I produce a satisfactory design but it will likely be a few month[s] away.” One thing we do know for sure, there’s one very happy child out there whose birthday memories were greatly enhanced by the help of 3D printing! Ever had one of those hairbrushes that was kind of impossible to clean? Well, a design for a new 3D printed hairbrush has nailed down what’s necessary for you to keep using your hairbrush one year or more after you first purchase it. The trick? The back of the brush has a series of mazelike rows that are much easier to pull apart. Scott Shim, Ohio State University Associate Professor of Design, is the one responsible for making this patented 3D printed hairbrush. Shim is interested in exploring the possibility of large-scale production of the brushes, so Ohio State is looking for partners in this venture and a more flexible plastic to use for the brushes. Like so many other things that 3D printing has rendered obsolete, a frustrating time cleaning your hairbrush is now on that list as well, it seems. In other 3D printing university news, the University of Pécs is the oldest university in Hungary and it is hosting an International Interdisciplinary 3D Printing Conference that will highlight medical applications. The conference will take place September 25-26, 2015 and in addition to hosting a variety of speakers and workshops, there’s also a student 3D printing competition. 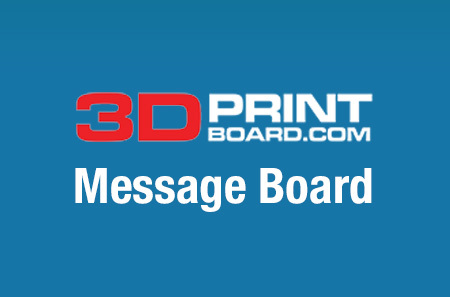 Interested students (individuals or teams of 2-4 students) are asked to submit presentations or prototypes on a 3D printing idea they would like to see realized by September 18, 2015. If you want more information on the conference or the competition, you can check out the conference website here. Tokyo’s Kabuku manages Japan’s largest online 3D printing service, Rinkak, which is a full service platform that allows people to design, print, and purchase items. But Rinkak has also evolved since the company started in January 2013. Now it wants to venture into other 3D printing-related territory and it has raised significant capital to do this, including a recent 400M JPY (about $3.3M) boost from Global Brain. One example is 3D printed vehicle parts in partnership with Toyota’s ultra-compact car, the iRoad. Other projects includes collaboration with Loft Lab 3D Figurine Studio and Rinkak 3D Printing MMS — a new cloud-based 3D printing business management service. 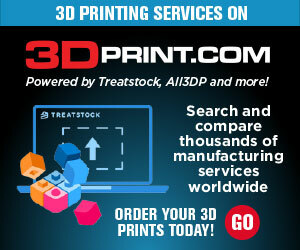 Just from reading this week’s 3D printing news we see how 3D printing is expanding into the Asia-Pacific more. One example of this expansion is 3D printing giant Stratasys’ Asia Pacific Forum 2015 that happened last week in Seoul, South Korea. This forum featured a variety of speakers who addressed the past, present, and future of 3D printing. Also, Shapecloud is a new 3D printing cloud-based service–the first in the Philippines–that gives people an opportunity to design, model, and manufacture 3D printed items (like Shapeways, Sculpteo, or i.Materialise). Shapecloud also offers 3D scanning and CAD services, and they 3D print in ABS plastic, while paying special attention to the post-production painting and coating of the printed objects. It looks like we’ll be seeing more 3D printed items and ideas coming out of the Philippines, as 3D printing expands further eastward! In the world of augmented reality, things are also developing rapidly as Apple has gone ahead and offered a job to one of Microsoft’s lead HoloLens Audio Engineers. Apple has not directly released any 3D printing related products yet, but it remains very unlikely that Apple will stay away from the 3D printing/augmented reality space. And this news about Microsoft’s previous HoloLens engineer jumping ship to Apple only further confirms that there may be something in the works. Apple’s next big release is an improved Apple TV and the iPhone 6S and 6C on September 9. There’s much speculation that the company may be getting ready to release something else 3D printing-related soon, so stay tuned! Let us know if any of these stories caught your interest in this week’s Stories We Missed forum thread over at 3DPB.com.